Headstone stone maker: McCann Belfast. 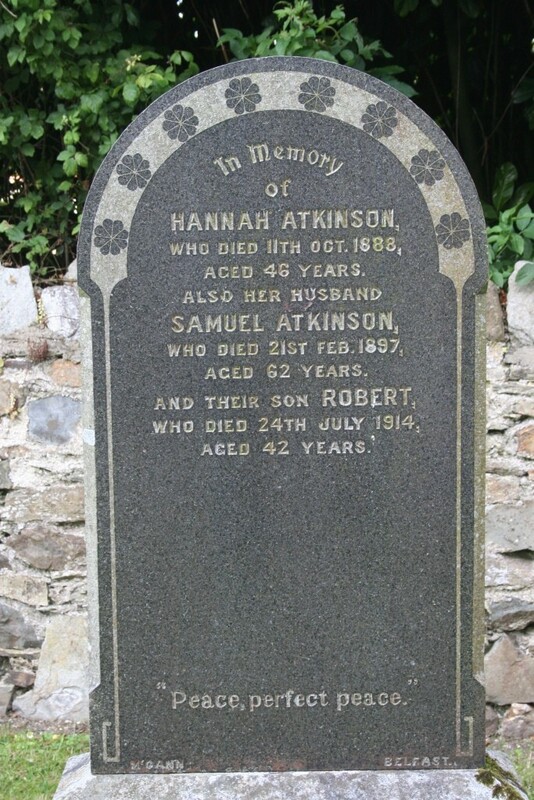 In memory of Hannah Atkinson who died 11th Oct. 1888 aged 46 years. 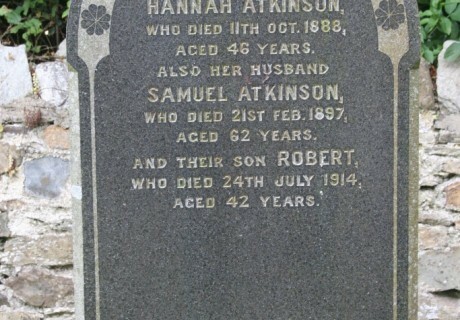 Also her husband Samuel Atkinson who died 21st Feb. 1897 aged 62 years. And their son Robert who died 24th July 1914 aged 42 years.